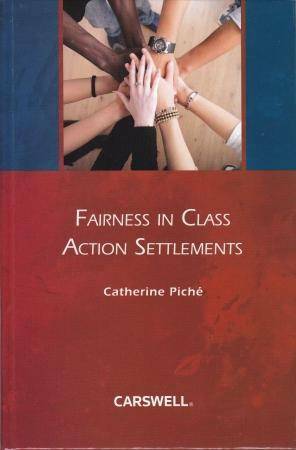 Fairness in Class Action Settlements | Catherine Piché, Prof. 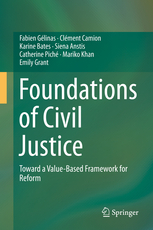 This treatise explores the legal policy and reasoning behind the mandatory judicial approval of class action settlements, the process by which it is sought and obtained, the currently relevant factors and indicia of settlement fairness which support all decisions to approve, and the roles of the principal settlement actors, particularly the settlement judge. It suggests reform recommendations applicable to these approval processes, roles of the actors and standard of settlement fairness. These recommendations are tested, for their plausibility, against empirical data obtained from the qualitative interviews of seventeen judges conducted by the author in four target jurisdictions that have similar approaches to class action settlement approvals, and where class action litigation activity is heavy: Quebec, Ontario, British Columbia, and the United States federal courts. Ce contenu a été mis à jour le septembre 17, 2015 à 15 h 30 min.